More so than many of her peers, 16 year old Sofia Evangelina can really let it rip. With a crystal timbre, she seems destined to howl away on hits for years to come. It’s tempting to root for Sofia – she possesses one of the better pure voices of the current teen-pop crop. But as any well-navigated industry professional will tell you, talent is only half the story; you need many more ingredients to make an impact. Sofia is at her most powerful when she is at her most raw; in fact, she feels most in control when she’s truly baring her soul, rather than kowtowing to generic, corporate musical trends. That may sound flattering when discussing a long standing, hit-making songstress, but it becomes a stunning statement when describing a 16 year old aspiring pop singer from Canada. Sofia Evangelina’s latest release comes at a curious time for female pop stars, who have been marginalized by the streaming-borne hegemony that allow Soundcloud’s mumble rappers to somehow become worthy of multiple No. 1 singles. To compound that of course, Sofia is still a very young outlier compared to those in pop’s upper echelons. However her voice is a powerful force, full of life and personality, and able to leap octaves, and in a time when women are often reduced to dishwater-dull “featuring” presences, on edgy urban songs awash with hedonism and debauchery, Sofia’s artistic audacity is a breath of fresh air. The young teen pop singer has chosen to stand for change and to inspire her contemporaries, through her music. 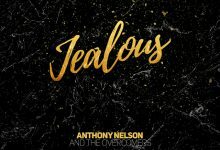 Her new single, “This Is Your Song”, is aimed directly at those who suffer the negative effects of bullying and peer exclusion. For those not aware, Sofia is also an accomplished freestyle skier who has been the youngest to compete on the World Cup circuit in her discipline. Hence she has traveled the world and has been able to focus her vision and form her own perspective on societal behavior, especially on issues pertaining to youth culture. Moreover, she makes a lot of universal tropes feel personal thanks to her emotive delivery. She takes her personal experiences and blends them with her professional participation – which has seen her work with Beverly Delich and Bryant Oleander, known for their endeavors with Michael Bublé – to form an explosive artistic package that matches substance with style. Consider that, besides releasing her album, “Butterfly”, which features covers of iconic songs by legendary artists, the Calgary native has won several National talent competitions including Canada’s “National Overall Talent Awards” at Talent INC 2014, and has also appeared at various festivals throughout North America. Sofia cites her major influences as Christina Aguilera and Beyoncé, as well as legendries of the past such as Etta James, Aretha Franklin and Nina Simone. This alone should give you the measure her artistic insight and ambition. 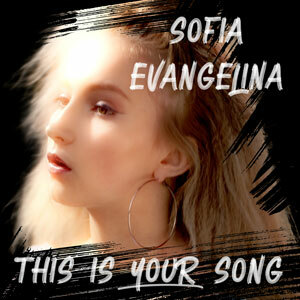 “This Is Your Song” is contemplative, but anthemic and inspiring for the wounded, as Sofia sings: “You have all the power to make your dreams come true. Can’t you feel the fire inside, telling you it’s time to break through? We are the kids of the world.” The piano driven production teases out directions that Sofia takes further with her emotive interpretation. She lets her talent fly as high as she can, solving pop’s current obsession with box-ticking by nudging their lines into shapes that fit her persona. “This Is Your Song” is an endearing pop song, one that leaves a lasting impression. It keeps pace with modern pop trends while remaining true to its message. With Sofia Evangelina, positivity has finally found an empowering voice within the youth movement. “This Is Your Song” will be released as a standalone single, as well as be featured on a compilation alongside 15 other artists promoting social change against bullying and other negative trends in youth culture.